Though originally going to hone in on school board candidates, the Williamson Business PAC said they later decided they wanted to endorse candidates for the legislature. During the last couple of weeks, the PAC endorsed 61st House District candidate Rep. Charles Sargent and 65th House District Candidate Sam Whitson. PAC chairman Dennis Norvet said while they have lent their support for both candidates, it’s undecided how much money they will give them, if any. Back when the PAC originally introduced itself to the community, leaders said they would like to focus on local school board races. But in its initial press release, the group said it might consider county or legislative races in the future. The PAC chair said he felt reassured with both of their choices for those districts. Voters will essentially decide the 61st House District seat in the August primary, with no Democratic challenger on the ballot in November. They will have Sargent, Steve Gawrys and Terrence Smith to choose from. The PAC chose from three candidates on the 65 side – Whitson, incumbent Jeremy Durham and Democrat Holly McCall. While still remaining on the ballot, Stacey Givens said she will not campaign. “I do think that Rep. Sargent has done a great job with Williamson County and the business community, and I feel very comfortable with our decision,” Norvet said. “And I feel that candidate Sam Whitson will be able to stand for the development and growth of the county. Norvet said he was uncertain if they would endorse anyone for the 63rd House District seat, which doesn’t have contentious primary. 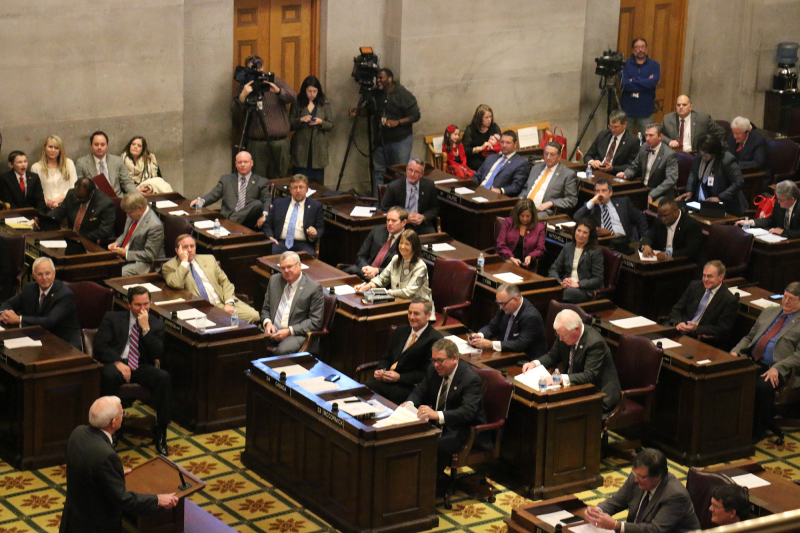 Both candidates – Republican Rep. Glen Casada and Democratic challenger Courtenay Rogers – will go straight to the general election primary ballot. Casada said he thought it was premature for the PAC to interview or consider him for an endorsement. Rogers said while she would like to be considered, she hadn’t heard from any of the PAC officials, either. During the first quarter, the PAC reported it had $20,000. Disclosures for PACs and the candidates will become available later in July.